Desc: Sterling Silver Amber cameo pendant. 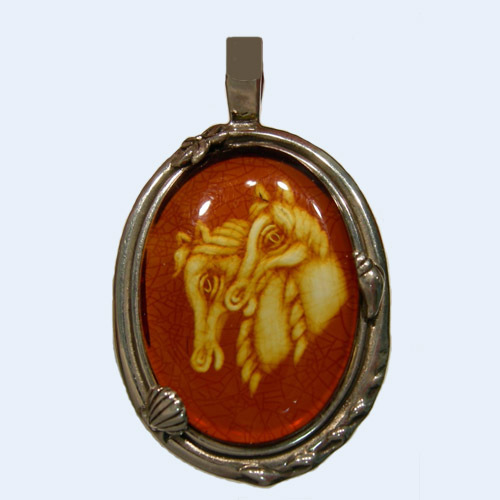 The oval cabochon Amber is carved with two horse heads as a cameo. The mounting is Sterling Silver with sea shell motifs on sides of the mounting with a star fish mounted near the bale at the top. We can mount this Amber cameo in gold or silver mountings of your choice, elaboragte or simple (Contact us for details).